Dex was lucky enough to be given this Baby Einstein Discover & Play Gift Set back in November and I just had to write a review because I absolutely adore every piece of it. 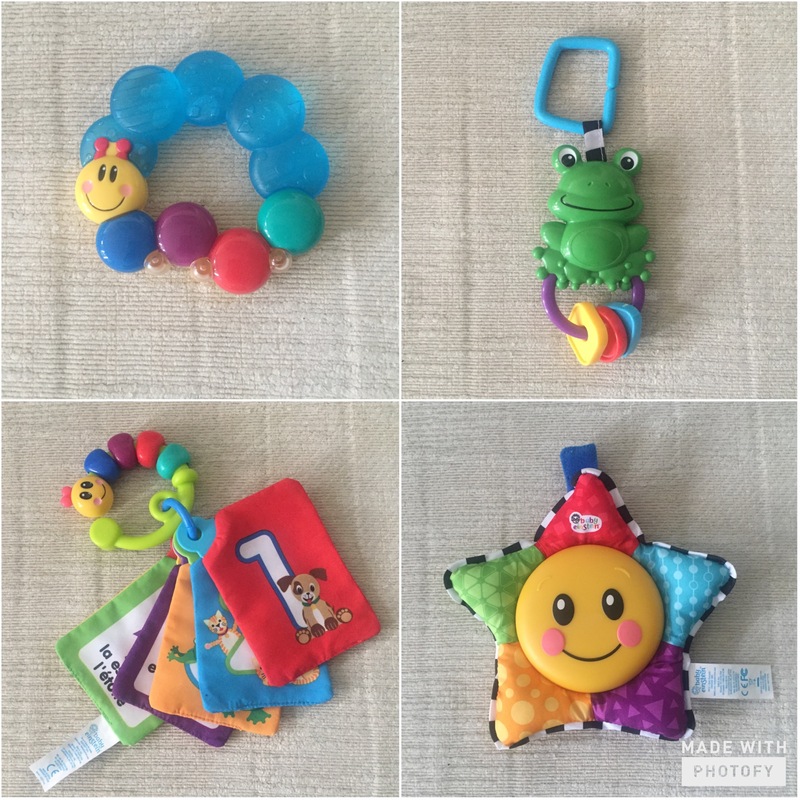 We already have the Baby Einstein Neighbourhood Friends Activity Jumper and these little toys slot into it perfectly as well as being good enough to be played with on their own during tummy time sessions or in the pram while we are out and about. Dexter is at the age where he adore labels. If you give him a muslin square, he starts looking for and chewing the label while refusing to be distracted by any other toy. These Take Along Discovery Cards are made from the same material as labels so he adores them. They crinkle as he plays with them which he loves and I love the three languages printed on each card. French and Spanish are my strongest languages so it’s nice to be able to pronounce each word to him and help develop his language skills. I love the bright colour of the caterpillar which always grabs Dex’s attention. The cards slot perfectly onto his jumper as well as his pram so he can fiddle with them on the go. 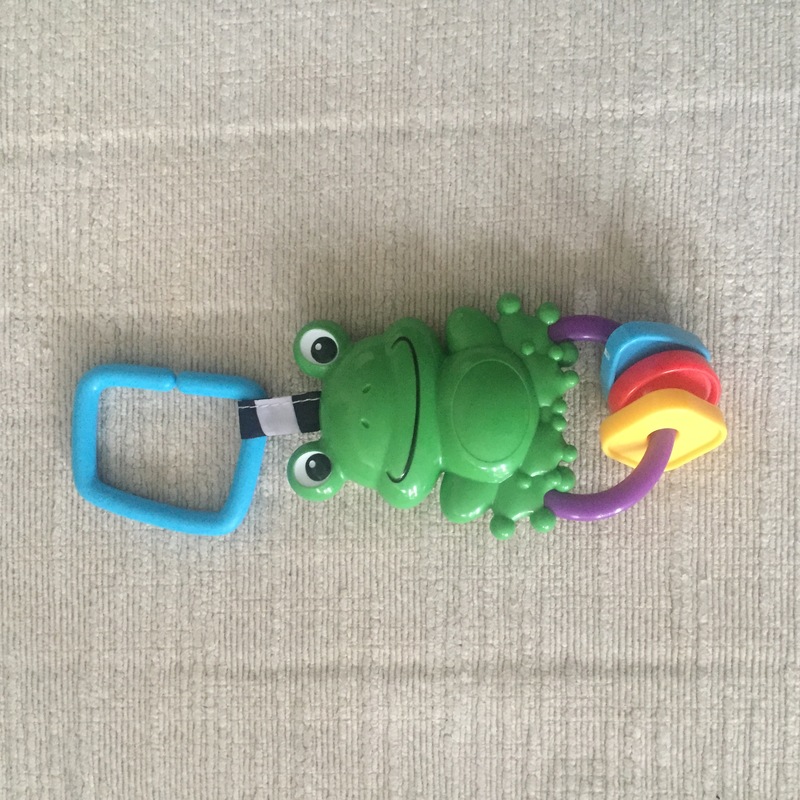 The Frog Rattle Toy is another firm favourite of Dexter’s. Again, I hang this from the jumper so he can gnaw on it and shake it around. The bright green colour attracts his attention as well as the noises the three brightly coloured plastic beads make. I often find him grabbing hold of little froggy and giving him a right old talking to! I wish I knew what he was telling him. My favourite piece in the set is The Star Bright Symphony Toy. It is a brightly coloured star which flashes and plays music. You can set it to two options. The first plays a short part of a song each time it is touched and the second option plays five full songs in a row, twice. The songs are classical favourites and I have grown to love singing along to them. The star has two volume levels and can also be turned off completely. Great for when you’ve heard just about enough Mozart for one day! Again, this can be hung from the jumper or a playmat or sometimes Dexter plays with it during tummy time on the floor. 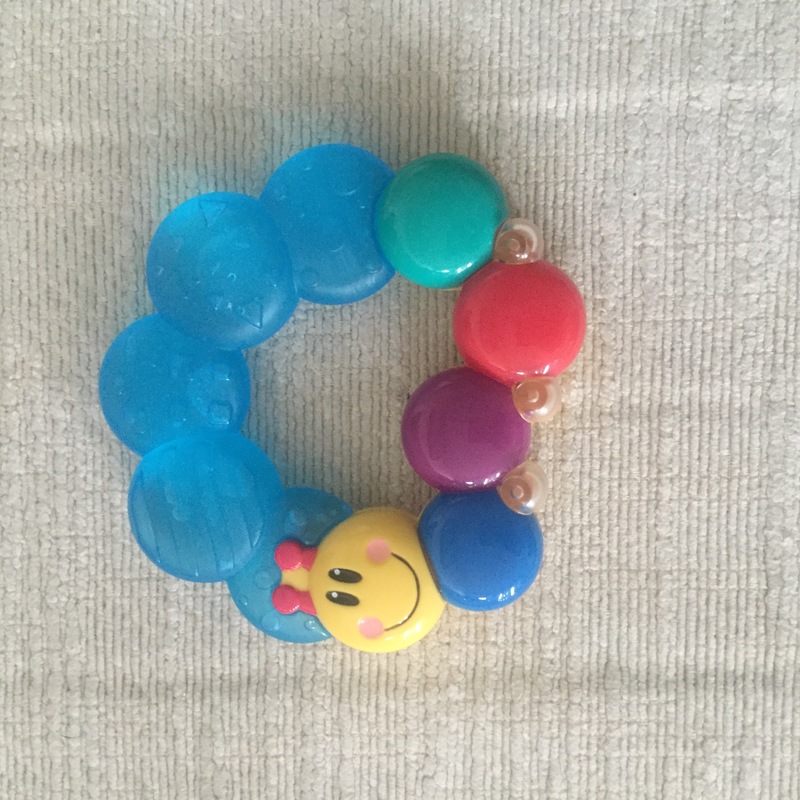 The Caterpillar Rattle & Teethe Teether Toy has come in very useful during the last few weeks as his lower central incisors have come through. Dex loves chewing on the soft blue plastic bit as well as shaking it and banging it in the floor. I love that Baby Einstein have a running theme with all their toys and the little yellow caterpillar features in a lot of their products. He appears here, on the Discovery Cards and on the Kids II Baby Einstein Bendy Ball that we also have. All in all, I am very pleased with the Baby Einstein Discover & Play gift set. 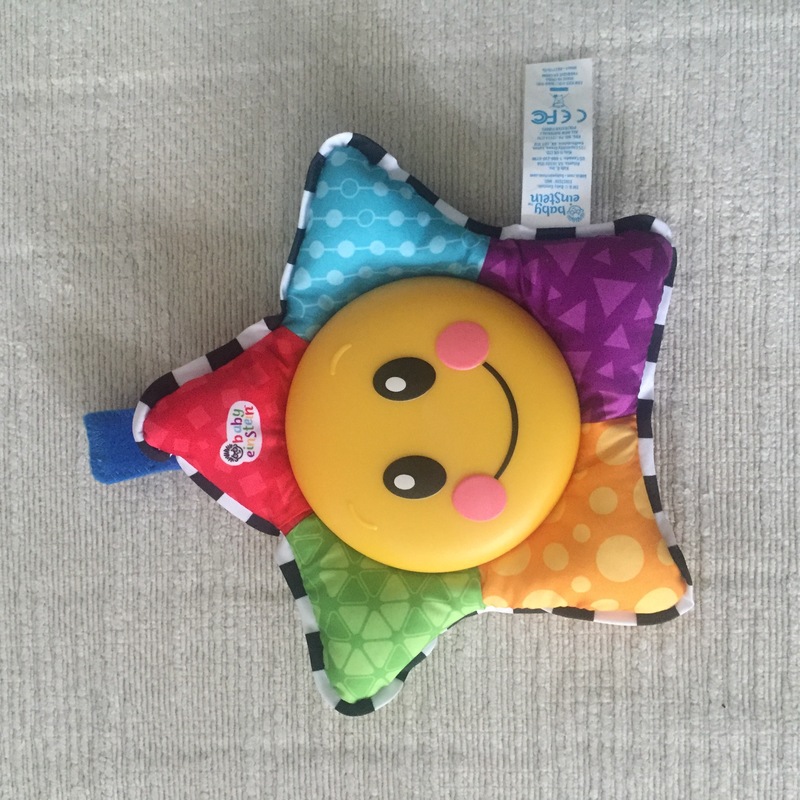 I find Baby Einstein products to be very brightly coloured, with intriguing noises and sounds to really grab a baby’s attention, and these products did not disappoint. It’s also excellent value at around £25 for all four toys. You can also buy each toy individually. 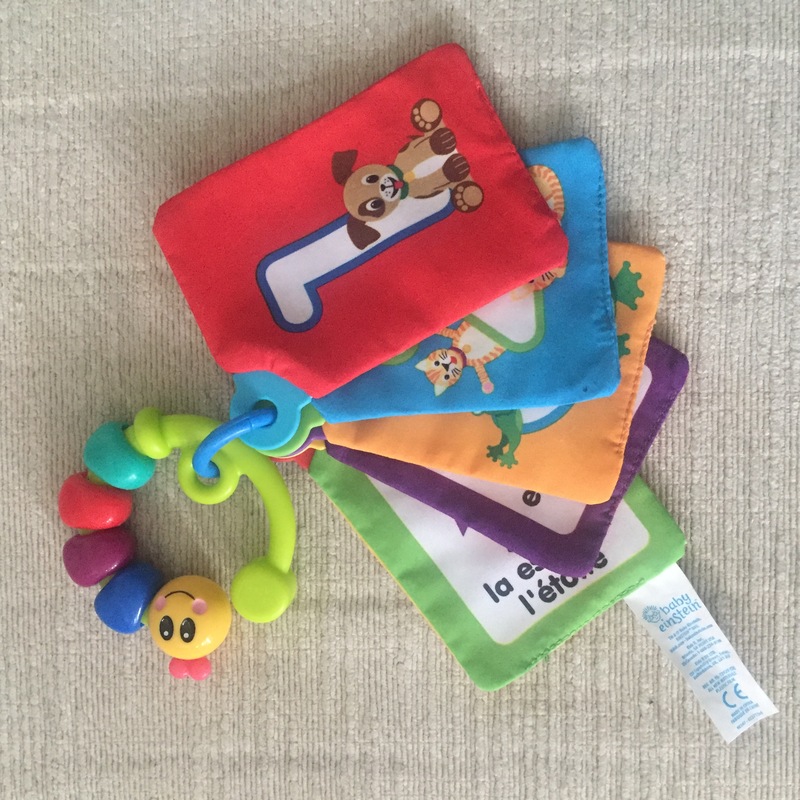 The toys are suitable for babies from birth and at six months old, Dex is still getting immense pleasure from them, and I expect him to do so for many months to come, so the pack is certainly value for money. Let me know if you decide to buy this set and what you think. Disclaimer: I did not receive anything to write this review. All views are my own. We have a few Baby Einstein bits from Darcie that Henry has inherited and both of them love them! Him for the first time and her rediscovering them as they’ve been put away for a little while now.